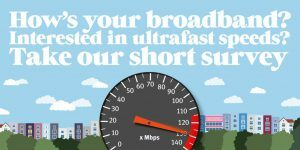 On Bristol’s first Broadband Speed Test Day, we wanted to share the benefits to businesses of going ultra fast with their their broadband connection. A recent UK Government scheme (now closed) helped 1300 businesses in the West of England secure a faster broadband connection. Businesses found their new connection helped them to thrive. Equipped with their faster connection they become more productive, access new services – like VOIP phones – develop new service and achieve higher level of customer satisfaction, whilst boosting profits. UK loses £11bn a year due to slow internet, with average employee losing 38 hrs work a year! Bristol has improving digital connectivity, so if you haven’t checked your options for a while, there may be new full fibre / ultrafast options now available to you. A range of telecoms providers are active in the city, including City Fibre, The Bristol Network, BT Business and Virgin Media for Business. Many of these companies have made recent, significant investments to improve choice for businesses in their broadband offer. Businesses interested in full fibre services now have more choice than ever before. Know your options and don’t hinder your business with a slow connection. Also, see the guidance from OFCOM for businesses choosing a communications provider. There are also online business broadband comparison sites, like Think Broadband, however, these may not cover the full range of providers. 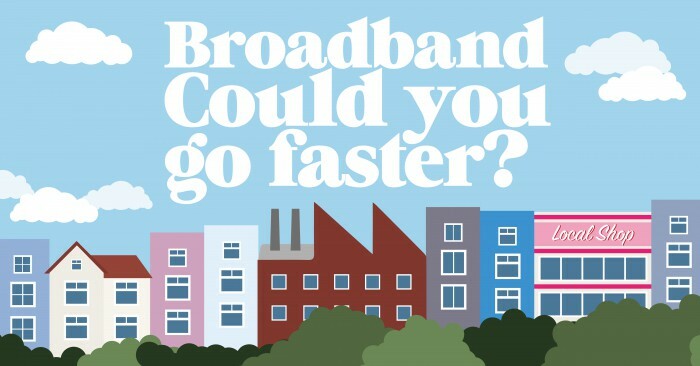 Complete our short survey about your current service and demand for new ultrafast services. This will improve our understanding of the connectivity needs of the city’s businesses. Any help to go faster? Many businesses find the overwhelming business case for better connectivity is enough to move them to get a better connection. We have seen UK Government incentives in the past and expect new incentives around full fibre in the future, although plans are still being developed. Complete the survey to register your interest. We’ll be organising events so businesses can hear from others that have already benefited from ultra fast service, again register your interest in our survey for an invite.